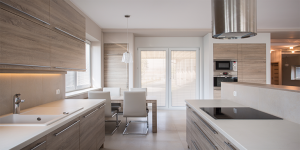 Renovating your kitchen without exceeding your budget is not always an easy task. But, know that it is possible to give it a second life at a reasonable price by making some changes that will make a difference. 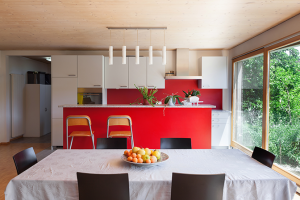 Isabelle D’Amours from Décoration D’Amours inc., one of our distributors from Val-Brillant has given us some decorator tips and tricks so that we can guide you for your next renovations! 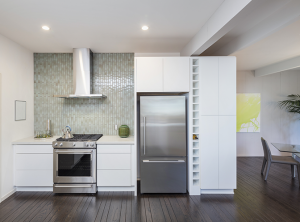 The trends in cabinet handles have evolved to a more modern and refined style. If you opt for a more modern look and you want to change your buttons for long slim handles, do not hesitate to drill new holes. Plus, the handles are the easiest thing to change in a kitchen! The hardest part will be to choose from all the available models on the market. So, why not go ahead and make this little inexpensive and very effective change? 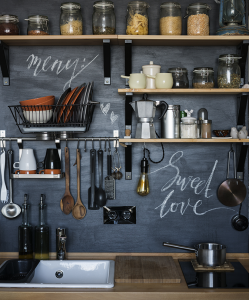 Chalkboards in kitchen are both pratical and trendy. 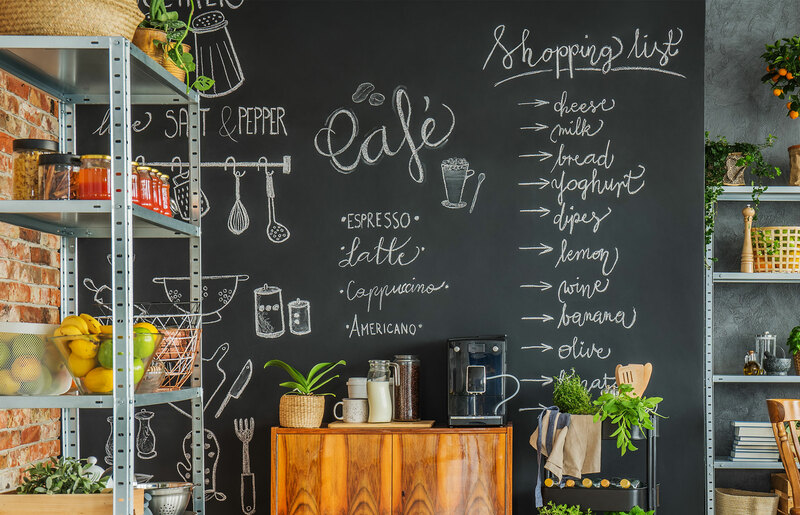 Whether to write a special recipe or to leave a not to your family, the chalkboards in the kitchen are very much appreciated. 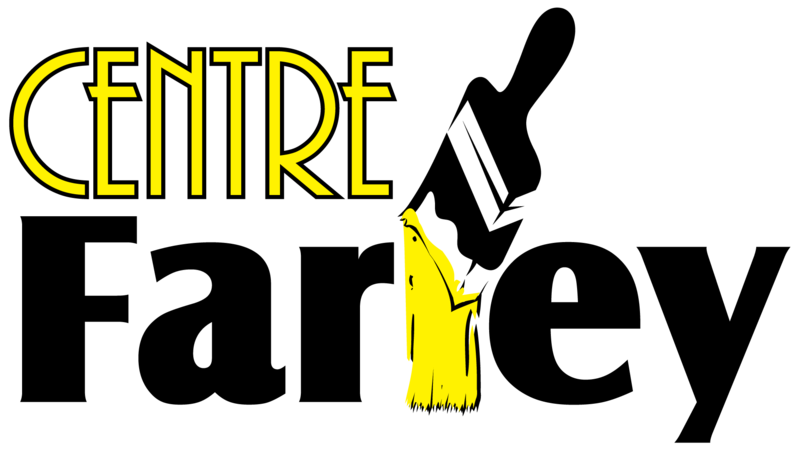 Although this trend began a few years ago, it still remains widely used as a decorative addition to our customers. Fortunately, some of our distributors sell RUST-OLEUM chalkboard paint. Ask your distributor if they have some in store! Changing your kitchen’s backsplash requires a little more manual work. Some may decide to call a professional, while others will use a simpler alternative such as adhesive wall tiles, paint or patterned wallpaper. Again, the choices of tiles, colours and wallpaper that are offered on the market are endless. So, do not hesitate to ask your decorator for advice in order for him to help you choose the perfect backsplash for your kitchen! Repainting all your kitchen walls can seem like a big project to undertake and sometimes time we run short of time. In order to get a similar effect in less time, focus on a single wall using a vibrant colour to add a decoration punch. For an easily washable and child-proof surface, use our product Portico (260). If it’s your kitchen cabinets that you would like to repaint, first apply the appropriate primer according to your cabinet material, followed by our product Epoxy Plus (3200) for an unmatched pearl finish. You can use the same products for a wood or melamine surface. And why not even repaint a cupboard door with chalkboard paint? No matter what you decide, do not forget to properly prepare your surface so that the pain adheres well and that the result is as dazzling as in decoration magazines! Visit Tips & Tricks section of MF Paints to learn more. DO I ADD OR REMOVE? Adding molding to the cabinets allows your kitchen to regain a more actual look without spending too much time and money. 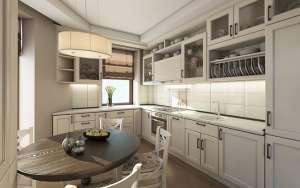 Completing its kitchen cabinets with molding creates and additional effect of finishing and prestige. If you have enough storage space in your kitchen cabinets, you can remove one or more and replace them with shelves for decorative accessories. Cover the back wall of the cabinet with a beautiful patterned wallpaper to give a bit more bite. 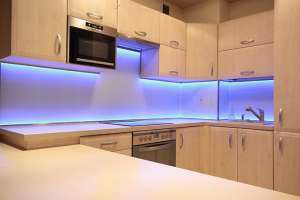 Put your new backsplash on the spotlight by adding a bezel of LED lights under the cabinets. The lighting not only determines the ambiance of the room, but also brings an important addition to the decor. Plus, some luminous cords allow you to choose the lighting colour of your choice according to the desired ambience!